The spring school holidays will last from 25 till 31 March. During the holidays, students will not only rest and improve their health but also take part in the major projects. The large-scale project will be launched in late February. The rushnik (a ritual embroidered towel) will feature the symbols of all agro-towns of Grodno District and the town of Skidel. The largest book event of the year, Minsk International Book Fair, wrapped up on 10 February. This year the book forum was themed around to the Year of Native Land and the 2nd European Games. Russia, a special guest at the Minsk Book Fair, offered an eventful program. The book and the guidebook feature the sports facilities and major sights of Minsk and Belarus in general, and also the information on theaters, museums, cafes, hotels, useful tips for visitors. 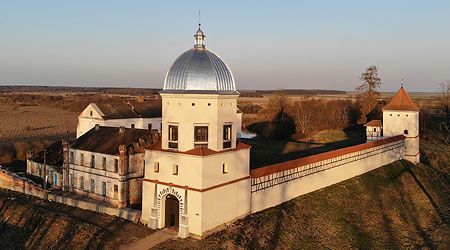 The exposition “Belarusian Primer: Four Centuries of History” features primers from different epochs, starting from the 16th century and up to the present day. About 400 events will be held as part of the 26th Minsk International Book Fair. It will feature 439 exhibitors, of which 162 are from abroad. The Belarusian delegation was led by Culture Minister Yuri Bondar. On 30 January he met with UAE Minister of Culture and Knowledge Development Noura Al Kaabi. The parties signed a program on cooperation in culture and art.